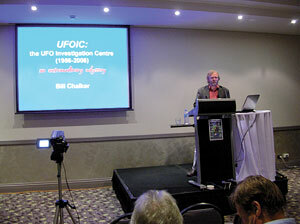 This site is devoted to the Sydney Australia based UFO group UFOIC - the UFO Investigation Centre. It will be used to describe the history, research and investigation activities of the group. Through the lens of the evolution of the Sydney based group UFOIC from 1956 to 2006 (fifty years), from historical to current cases and research, a rich harvest of UFO material is presented. History, controversy and research is covered in roughly equal measure. The 1868 Parramatta case will be covered, along with the 1927 Fernvale affair - a "prophecy" of the coming of the "flying saucer era" twenty years later in 1947, and the Mothman Prophecy events of around 1967. A Chinese connection - a "Dragon Seed" - will be examined from its earliest manifestation through the pioneer UFOIC researcher Andrew Tomas through to my research in more recent times, through to the strange breakthrough research into the unusual rare Chinese ethnic minority DNA turning up in the "Hair of the Alien" saga - a wild ride through an extraordinary odyssey spanning more than half a century.